Argus was governed from the gleaming halls of the Seat of the Triumvirate--until the eredar struck their unholy bargain with Sargeras. Enraged by Velen's defiant exodus, Kil'jaeden decreed that the Seat should be abandoned as a symbol of an irrelevant past... for the Legion had become their future. Its once-gleaming halls now fallen into shadow, the Seat radiates a dark power that has drawn those seeking to harness the might of the Void and unleash it upon their enemies. Overview: Zuraal uses the void to empower himself and injure his opponents. [Decimate] creates pools of damaging void energy, while [Coalesced Void] empowers all of Zuraal's abilities. Null Palm: A cresting wave of chaotic magic splashes over enemies in front of the caster, dealing 126000 at each impact point. Void Sludge: Volatile void seeps in to the target, inflicting 35000 Shadow damage every 1 sec. This effect stacks. Void Infusion: Infused by the void leaking out of the Twisting Nether, increasing damage done by 100%. Decimate: Infuses the caster's fist with void energy, inflicting 350000 Shadow damage to their target and creating a pool of void energy that expands outwards from the impact point. Coalesced Void: Coalesced Voids form within the center pool throughout the fight, and make their way towards the Void Brute. If they reach him, the Coalesced Void casts Dark Expulsion. Dark Expulsion: Explodes in a shower of void energy, inflicting 250000 Shadow to all enemies. Umbral Ejection: Void energy wicks off the Coalesced Void, leaving pools of void energy at their location every 1 sec. These pools inflict 35000 Shadow damage every 1 sec. Umbra Shift: Infuses the target with void energy, inflicting 7500 Shadow damage and knocking them backwards in to void realm. Fixate: Fixates on a target, attacking them to the exclusion of other targets. Maddened Frenzy: Maddened by the void, reducing Zuraal the Ascended's movement speed by 60%. Additionally, melee attacks cause knockback. Dark Aberration: Dark Aberrations wander the void, attacking anyone who appears in their realm. Release Void Energy: Upon death, the caster explodes, inflicting 75000 Shadow damage and infusing nearby targets with void energy. At 100 Energy, the target can cast Void Tear. Void Infusion: While in the Void Realm, void energy can be gathered by killing Dark Aberrations. After gathering 100 energy, Void Tear can be cast. Void Tear: Tear a hole in the Void, bringing the caster back to the real world. Additionally, Void Tear stuns Zuraal the Ascended for 20 sec and increases damage taken by 200%. Overview: Saprish, in conjunction with his pets, works to debilitate his targets before eliminating them for good. Hunter's Rush: Empowers the hunter, causing melee attacks to have a chance to cause Dark Slash. Dark Slash: The caster's weapon bursts with dark energy, inflicting 100000 Shadow damage. Void Trap: Creates a void trap, which inflicts 125000 Shadow damage and stuns the first target that enters its radius. Overload Trap: Sets a series of placed traps to explode, inflicting 250000 Shadow damage to all nearby enemies. Umbral Flanking: Saprish marks multiple players. After a short time he dashes between them, inflicting 78625 to 91375 Physical damage. Additionally, all players hit by Umbral Flanking give Saprish a stack of Hunter's Rush. Ravaging Darkness: Teleports to a player and executes a series of attacks for 6 sec. Each attack inflicts 125000 Shadow damage every 1 sec. Additionally, all players hit by Ravaging Darkness give Saprish a stack of Hunter's Rush. Swoop: Swoops down on random target, inflicting 200000 Physical damage to all enemies near the impact. Dread Screech: Lets out a piercing screech, inflicting 200000 Shadow damage and disorienting all enemies for 4 sec. Overview: At the beginning of the fight, Viceroy Nezhar creates a ring of [Collapsing Void], which slowly closes in around the arena until it covers the majority of the space. During the fight, Viceroy Nezhar will make multiple attempts to push the party outwards into the [Collapsing Void], using both [Howling Dark] and [Entropic Force] to do so. Dark Blast: Hurls a bolt of void energy at the target, inflicting 250000 Shadow damage. Umbral Tentacles: Summons 4 Umbral Lashers, which cast Void Lashing at random targets. Void Lashing: Fires a beam of void energy at the target, inflicting 100000 Shadow damage every 1 sec for 6 sec. Additionally, Void Lashing reduces healing taken by 5% for 15 sec. This effect stacks. Void Lashing: Void Lashing leaves a scar on your psyche, reducing healing received by 5%. This effect stacks. Entropic Force: Void winds flow out of the caster, inflicting 250000 Shadow damage every 1 sec and additionally pushing all enemies away. Howling Dark: Fills all nearby enemies with dread, causing them to flee in fear for 4 sec. Insanity: During the course of the fight, Viceroy Nezhar continuously gains Insanity. At 100 Insanity, Viceroy Nezhar summons 2 Shadowguard Voidtenders and starts to cast [Eternal Twilight]. Shadowguard Voidtender: When summoned, the Shadowguard Voidtenders cast [Dark Bulwark] on Viceroy Nezhar. Dark Bulwark: Enshrines the target in dark energy, making them immune to damage and interrupts. Eternal Twilight: Releases a cataclysmic blast of void energy, inflicting 10000000 Shadow damage to all enemies. Collapsing Void: Dark energy whips at the target, inflicting 250000 Shadow damage every 1 sec. Overview: L'ura begins the fight by open portals to the Void, calling in Greater Rift Wardens for defense. While the portals are open, L'ura channels [Naaru's Lament], inflicting Shadow damage to all party members. Additionally, L'ura is immune to damage due to [Darkened Shroud]. Killing the Greater Rift Warden gives Alleria Windrunner the opportunity to close the portal, and use the void energy she receives to cast [Dark Torrent]. Call to the Void: L'ura calls out to the void, opening a series of void portals. Once opened, L'ura begins draining energy from the portals and starts channeling Naaru's Lament. Naaru's Lament: Sings a wailing dirge, inflicting 75000 Shadow damage to all enemies every 3 sec until cancelled. Additionally, L'ura's casts Growing Darkness every 2 sec. Growing Darkness: Lura gains energy from void, increasing damage done by 1% every 2 sec. This effect stacks. Void Blast: Hurls a bolt of void energy at the target, inflicting 75000 Shadow damage and an additional 50000 Shadow damage every 1 sec for 5 sec. Final Dirge: Once L'ura has been severed from all available portals, she enters the fight, becoming mobile and capable of attacking players directly. L'ura continues to channel Naaru's Lament and cast Void Blast, and also gains the ability Umbral Cadence. Umbral Cadence: L'ura releases pent up void energy in all directions, inflicting 75000 Shadow damage to all enemies. Grand Shift: L'ura calls out to all Remnants of Anguish, causing them jump to random enemies, inflicting 125000 Shadow damage to all enemies near the impact point and knocking them back. Void Bound: Binds the caster to the portal that summoned, protecting the portal from being destroyed. Fragment of Despair: Hurls a bolt of shadow energy at random locations, which inflict 500000 Shadow damage to enemies at the target location. If no players are hit, Fragment of Despair inflicts 1000000 Shadow damage to all players. Sorrow Shock: Shocks the target with dark energy, inflicting 125000 Shadow damage. Remnant of Anguish: Leaves a remnant of the Waning Void's essence behind, which inflicts 125000 Shadow damage every 1 sec to all nearby enemies. Alleria Windrunner: Alleria Windrunner appears at the beginning of the fight, and casts Void Sever at any unprotected Void Portals. Void Sever: Drains an unprotected Void Portal of its energy, severing its connection to L'ura and closing it permanently. At the core of Argus lies Antorus, the Burning Throne. 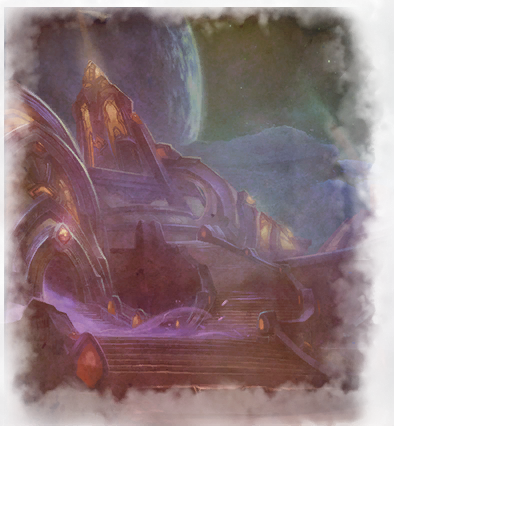 From this seat of power, Sargeras drives his burning crusade to ravage the cosmos. Within the Throne's nigh-impenetrable depths, primordial powers are being forged into weapons of utter annihilation. Should these forces rise to serve their master, the final hour will fall upon all of creation. Overview: The fel reaver's cannons continously alternate between [Annihilation] and [Decimation]. Fel Bombardment: The Fel Reaver locks onto its current target. Upon expiration, missiles bombard the target's location every 1 sec for 5 sec, inflicting 6169785 to 6820215 Fire damage to enemies within 7 yards of impact and knocking them back. Apocalypse Drive: The fel reaver powers up its Apocalypse Drive, that inflicts 436705 to 482675 Fire damage every 4 sec. Unless one of the reaver's weapons is destroyed before the cast is finished, Apocalypse Drive inflicts an additional 9500000 to 10500000 Fire damage to everyone. Eradication: Smashes the ground, inflicting 9260000 Physical damage and knocking back targets within 60 yards. Damage decreases the further targets are from the point of impact. Empowered: After Apocalypse Drive, the fel reaver empowers all weapon systems, increasing damage inflicted by 20% per stack. Carnage: Continuously smashes the ground when not engaged in melee combat, inflicting 855000 to 945000 Fire damage to everyone every 1 sec for 10 sec. Decimator: Destroy this weapon to remove its abilities from the encounter. Decimation: Hurls fel energy at random enemies. Upon expiring, the enemy destination is bombarded with missiles, inflicting 3800000 to 4200000 Fire damage to enemies within 12 yards and 351000 to 390000 Fire damage to everyone. Annihilator: Destroy this weapon to remove its abilities from the encounter. Annihilation: The Fel Reaver calls annihilation missiles down, inflicting 2850000 to 3150000 Fire damage split between players within 4 yards. Impacts that are not absorbed inflict 1900000 to 2100000 Fire damage to everyone. Haywire: While haywire, the Fel Reaver's annihilation impacts the target area twice. The primary blast inflicts 2850000 to 3150000 Fire damage split between players within 4 yards and knocks them back. The secondary blast hurls shrapnel that inflicts 2850000 to 3150000 Fire damage split between players within 4 yards and knocks them back. Infused with fire and shadow, F'harg and Shatug are the prized pets of Sargeras. Bred for carnage, these hounds delight in eviscerating their master's enemies. With the Army of the Light and their allies advancing upon Antorus, the Legion prepares to unleash these vicious creatures onto the battlefield and put an end to the mortals' invasion. Overview: The Felhounds of Sargeras combat players while performing attacks at specific power thresholds, but each has their own power generation rate. [Focusing Power] temporarily suspends this power generation. Burning Maw: Viciously bites at a target, inflicting 5780000 to 6070000 Fire damage and applying Smouldering. Smouldering: Inflicts 296000 Fire damage every 1.5 sec for 12 sec to enemies in a 25 yard frontal cone. This effect stacks. Molten Flare: Ejects a pulse of flame, sending it flying towards a ground location inflicting 774000 to 856000 Fire damage to enemies within 5 yards. Desolate Gaze: Gazes at a target, casting Desolate Path in their direction upon expiration. Desolate Path: A manifestation of flame charges forward, knocking back and inflicting 2440000 to 2560000 Fire damage to enemies in a frontal line. Enflamed: Pulses for 1300000 Fire damage after 4 sec to the target and nearby allies within 8 yards. Lingering Flames: Manifests a crystal of flame for 20 sec which blasts the nearest player every 1 sec, inflicting 50000 Fire damage and increasing damage taken Lingering Flames by 15% for 5 sec. This effect stacks. Enflame Corruption: Incinerates the corruption within enemies over 9 sec, periodically afflicting them with Enflamed. Corrupting Maw: Viciously bites at a target, inflicting 5780000 to 6070000 Shadow damage and applying Decay. Decay: Inflicts 556000 Shadow damage every 3 sec for 12 sec to enemies in a 25 yard frontal cone. This effect stacks. Consuming Sphere: Ejects a sphere of shadow magic towards a targeted location, inflicting 407000 Shadow damage every second upon contact. Consumed: Increases damage taken by Consuming Sphere by 75%. This effect stacks. Weight of Darkness: Crushes a target under the weight of darkness, progressively slowing targets over 5 sec, then fearing targets within 8 yards for 20 sec, dividing the duration amongst targets. Erupting Shadows: Shadow magic erupts from the caster, inflicting 650000 Shadow damage to all enemies every 1.5 sec. for 9 sec. Siphoned: Pulses for 4000000 Shadow damage after 4 sec divided evenly amongst the target and nearby allies within 8 yards. Siphon Corruption: Detonates the corruption within enemies over 9 sec, periodically afflicting them with Siphoned. Siphoned Soul: Siphons soul fragments from targets which move towards Shatug. Soul Empowerment: Empowers the target, increasing all damage done by 25% for 15 sec. This effect stacks. Soul Determination: Erupts corrupt magic, inflicting 950000 to 1050000 Shadow damage to all enemies. Destroyer's Boon: Imbues the Felhounds with Sargeras' Blessing while within 40 yards of each other. Sargeras' Blessing: Increases all damage done by 100%. Focusing Power: Focuses on the dark power within, temporarily suspending power generation for 15 sec. Shadowtouched: Reduces Shadow damage taken by 25%. Shadowscar: Blasts the nearest ally for 950000 to 1050000 Shadow damage, drawing the ally to the Shadowtouched player's location. Flametouched: Reduces Fire damage taken by 25%. Burning Flash: After a short delay, a targeted location explodes for 1425000 to 1575000 Fire damage to players within 5 yards. Burning Remnant: Sets the ground ablaze for 2 min. Contact with the singed ground inflicts 950000 Fire damage every second. Long ago in the golden age of eredar civilization, a council was formed to oversee the defense of Argus and maintain peace. But after their dark bargain was struck with Sargeras, these master tacticians used their military expertise to help orchestrate a Burning Crusade that ravaged countless worlds. Now the full might of the Legion's army is theirs to command, and they wield this terrible power to annihilate all who oppose the Dark Titan's will. Overview: The Antoran High Command's three commanders attack their enemies both face-to-face and from inside their command pods. Only one commander is out of their pod at any given time, and commanders still in their pods attack their enemies using the might of the Legion military. Chaos Pulse: Fires a pulse of Fel energy at an enemy, inflicting 180500 to 199500 Fire damage per shot in bursts of 3 missiles. Each missile also causes the affected enemy to take 1% extra damage from all sources for 6 sec, up to a maximum of 15%. Fusillade: A legion cruiser appears overhead and barrages the arena, inflicting 2000000 Fire damage. Zeroing In: Admiral Svirax hones her aim, increasing Fusillade damage by 25% per stack of Zeroing In. Entropic Mine: Creates 4 Entropic Mines in the vicinity of a target enemy. After 3 seconds the mines become armed, triggering Entropic Blast on any enemies that come within 6 yards. Entropic Blast: A violent explosion is triggered by coming into proximity with an Entropic Mine, inflicting 2193750 to 2306250 Fire damage to all targets within 6 yards. Also inflicts 135000 Fire damage to all enemies every 1 sec for 4 sec. Summon Reinforcements: Summons a wave of Legion reinforcements. Pyroblast: Hurls an immense ball of flame at an enemy, inflicting 3800000 to 4200000 Fire damage. Demonic Charge: Charges a random enemy from among the three furthest enemies, knocking back and slowing that enemy by 30% for 6 sec. Bladestorm: Slashes wildly, inflicting 1045000 to 1155000 Physical damage to all enemies within 5 yds every 1 sec for 6 sec. Assume Command: The caster takes command of their command pod, ejecting any interlopers who may have entered in their absence. Exploit Weakness: Strike enemies within 10 yards where they are the weakest, inflicting 3700000 to 4300000 Physical damage and increasing Physical damage taken by 75% for 20 sec. Psychic Assault: The Legion commanders still in their command pods assault the player's mind directly, inflicting 341250 to 358750 Shadow damage every 2 sec. Each tick will do more than the last, until the player's mind is overcome. Extract Interloper: Channels a beam of disruptive magic at a command pod. If the channel lasts its full duration, the occupant of the command pod is ejected immediately. Withering Fire: Powerful guns shoot into the arena from above, inflicting 2775000 to 3225000 Fire damage and increasing damage taken from all sources by 25% for 10 sec. Felshield Emitter: Places a Felshield Emitter at a target location. When used, a shield will protect units within 12 yards, preventing 50% incoming Fire damage for 10 sec. Summon Disruptor Beacon: Summons a Disruptor Beacon that lasts for 7 sec. Portal Keeper Hasabel maintains the nexus through which the Legion has unleashed its insidious armies upon countless worlds. With portals that open to a myriad of strategic locations throughout the Great Dark Beyond, Hasabel is capable of bringing the might of the Legion's arsenal to bear upon any who oppose her. Overview: Portal Keeper Hasabel commands the portal nexus for the Burning Legion, transporting demons to and from the frontlines. Reality Tear: Tears open a ripping portal upon a target, inflicting 1020000 Physical damage every 2 sec for 30 sec. This effect stacks. Bursting Darkness: Inflicts 440000 to 486000 Shadow damage to all players for each stack of Reality Tear. Collapsing World: Creates a portal to a collapsing world, inflicting 2620000 to 2750000 Shadow damage to all players on the nexus platform. Players within 30 yds suffer an additional 4090000 to 4300000 Shadow damage and are knocked away from the explosion. Felstorm Barrage: Opens a portal for a massive fel barrage, inflicting 4230000 to 4450000 Fire damage in a line and knocking back all players struck. Transport Portal: Opens a portal to ferry various demons to assist the caster. The rift remains open for 10 sec. Acidic Web: Fires webs at a player's feet, immobilizing them for 5 sec. The target also suffers 274000 Nature damage every 1 sec. Howling Shadows: Inflicts 1170000 to 1230000 Shadow damage to all players within 60 yds, interrupting spellcasting for 6 sec. Catastrophic Implosion: When no players are on the nexus platform, all portals within the citadel implode, inflicting 2930000 to 3080000 Fire damage to all players. Empowered Portal: Xoroth: Vulcanar empowers a burning portal to Xoroth, inflicting 505800 to 533403 Fire damage to all players in the Nexus every 2 sec. This effect increases in intensity by 2% every 2 sec. Portal: Xoroth: Flames continue to stream out of the portal upon Vulcanar's death, inflicting 411386 to 433381 Fire damage to all players in the Nexus every 4 sec. Flames of Xoroth: Unleashes the Flames of Xoroth on players within 10 yds, inflicting 974000 to 1020000 Fire damage immediately with an additional 500000 Fire damage every 1 sec for 5 sec. Supernova: Marks a location for a supernova, which explodes after a short duration. This detonation inflicts 3910000 to 4100000 Fire damage to all players within 6 yds and knocks them into the air. Unstable Portal: 30 sec after arriving in the world, the caster begins to rupture the portal, inflicting 2930000 to 3080000 Fire damage to all players. Everburning Light: Players within 10 yards of Everburning Flames are provided with Everburning Light, protecting them from the shadows of Nathreza. Empowered Portal: Rancora: Lady Dacidion empowers a fel portal to Rancora, inflicting 458964 to 481536 Nature damage to all players in the Nexus every 2 sec. Portal: Rancora: Fel magic continues to stream out of the portal upon Lady Dacidion's death, inflicting 435600 to 455400 Nature damage to all players in the Nexus every 4 sec. Felsilk Wrap: Blasts a player with webbing, inflicting 1280000 to 1350000 Nature damage. This stuns the target within the webbing and inflicts 263000 Nature damage every 1 sec until it is destroyed. Caustic Slime: Coming into contact with the fel pools of Rancora inflicts 391000 Nature damage every 2 sec for 20 sec. Caustic Detonation: Inflicts 1170000 to 1230000 Nature damage to all players within 10 yds. Empowered Portal: Nathreza: Lord Eilgar empowers a shadowy portal to Nathreza, inflicting 487551 to 511359 Shadow damage to all players in the Nexus every 3 sec and reducing damage done by 1% for 4 sec. Portal: Nathreza: Shadows continue to stream out of the portal upon Lord Eilgar's death, inflicting 482625 to 507375 Shadow damage to all players in the Nexus every 3 sec. Delusions: Deceives the mind of all healers within 35 yds, reducing their healing and absorbs done by 100%. This lucid dream restores 2% maximum mana every 1 seconds and lasts 10 min. Corrupt: Corrupts players within 20 yds, inflicting 930000 to 978000 Shadow damage and increasing all damage they suffer by 15% for 4 sec. This effect stacks. Mind Fog: The shadows of Nathreza cloud the mind and reduces the ability to see longer distances. Cloying Shadows: Magic clings to players that step within the heart of Nathreza, reducing healing received by 50% for 30 sec. Hungering Gloom: Inflicts 1460000 to 1540000 Shadow damage to all other creatures and players within 8 yds, reducing all healing received by 100% for 1 min. This duration is reduced on players. Overview: The forces of the Legion will warp in and charge at Eonar's Essence and attempt to destroy her outright. Players must defend Eonar until she can gather her energies and strike back at her attackers. Essence of the Lifebinder: Eonar's presence is so uplifting that you can take to the skies for a brief amount of time. Surge of Life: Launch up into the air, then glide for a short time. Life Energy: Eonar's Life Energy builds as you defeat the invading Legion forces. When she reaches 100 Life Energy she will attack the Paraxis and any Legion forces with her Life Force. Life Force: Eonar gathers her life force and blasts the Paraxis for Nature damage. Additionally, a shockwave sweeps across the zone damaging all enemy invaders. Fel Shielding: This creature has an intense shield of Fel energy surrounding it, reducing all damage taken by 60%. Paraxis Artillery: The Paraxis fires several bolts of Fel energy at random players, inflicting 486919 to 513081 Fire damage to the target. Spear of Doom: The Paraxis focuses a beam of intense Fel energy that burns a trail towards Eonar's platform, leaving Fel Wakes in its path. Annihilation: The Paraxis fires several orbs of volatile Fel energy that will explode if not absorbed by a player. The explosion inflicts 1810000 to 1900000 Fire damage to all players. Absorbing the orb inflicts the damage to the absorbing player instead. Torment: The caster inflicts 500000 Shadow damage to all nearby players every 1 sec. until the caster is interrupted. Felguard: Standard Legion infantry unit. Not exceptionally fast or hearty. Fel Hound: Exceptionall fast, these hounds of the Legion have less health than Felguards. Fel Lord: Slow-moving, these elite Legion units have exceptionally high health. Volant Kerapteron: These fel bats fly in and take an airborne route to Eonar's essence. !16 In Mythic difficulty, the route these creatures take is exceptionally short. Purification: This creature cleanses nearby allies of all crowd-controlling effects and makes them immune to such effects while they are nearby. Fel Swipe: The caster swings their weapon in a devastating arc, inflicting 926000 to 1080000 Fire damage to all enemies caught in the weapon's path. Fel-Infused Destructor: Continually fires upon Eonar's essence until dispatched. If not actively engaged in melee combat will greatly increase rate of fire. Artillery Strike: The caster fires a missile of Fel energy at the Essence of Eonar, inflicting a small amount of Fire damage. Artillery Mode: The caster periodically fires a missile of Fel energy at the Essence of Eonar. Engaging this creature in melee combat will end this effect. Cloak: The caster creates a field of cloaking that makes all other nearby allies invisibile. The infamous Imonar serves as the Legion's bloodhound, capable of tracking prey across the cosmos. With a vast array of gadgets and traps at his disposal, Imonar has yet to lose a bounty... and he certainly doesn't intend to sully his perfect record by failing to fulfil his latest contract. Overview: Imonar the Soulhunter is called forth by the Legion to hunt down and capture high priority targets. He starts out utilizing controlling and suppressing effects to defeat his enemies. Shock Lance: Fel energy courses through the caster's weapon, causing the target to suffer 4470000 to 4690000 Physical damage and take 10% increased damage for 20 sec. This effect stacks. In addition, the target shocks an additional player for 1497234 to 1574016 Nature damage every 3 seconds for each stack. Electrify: Shocks another player for 1497234 to 1574016 Nature damage. Sleep Canister: Hurls a sleep canister at a player, causing them to fall into a slumber for 20 sec. Pulse Grenade: Hurls Pulse Grenades at nearby targets. Coming into proximity with one causes it to explode, inflicting 2300000 Nature damage and knocking back all players within 3 yds. Infernal Rockets: Blasts players who stray from the platform with rockets, inflicting 975000 to 1020000 Fire damage and increasing their Fire damage taken by 25% for 30 sec. This effect stacks. Empowered Pulse Grenade: The caster sticks several Empowered Pulse Grenades to players for 10 min. These inflict 612000 Nature damage to all players within 5 yds and knock others away every 2 sec. Sever: Slashes at a target, inflicting 5212350 to 5479650 Physical damage and causing the target to bleed for 882000 Physical damage every 2 sec for 18 sec. This effect stacks. Charged Blasts: The caster calls upon Legion ships to track a player. After 7 sec, the ship fires in a line, striking all targets for 1462500 to 1537500 Fire damage, burning them for an additional 1170000 Fire damage every 3 sec for 18 sec. Shrapnel Blast: When a shrapnel mine is created, it inflicts 593000 to 624000 Fire damage to all players. Stepping near a mine causes it to trigger, inflicting 950000 to 1000000 Physical damage and causing targets within 4 yds to bleed for 689000 Physical damage every 2 sec for 30 sec. Empowered Shock Lance: Fel energy courses through the caster's weapon, causing the target to suffer 4464062 to 4692988 Physical damage and take 10% increased damage until the caster dies. This effect stacks. In addition, the target shocks an additional player for 1497234 to 1574016 Nature damage every 4 seconds for each stack. Empowered Electrify: Shocks another player for 1497234 to 1574016 Nature damage. Empowered Shrapnel Blast: The caster calls upon a large Legion ship to bombard players. Each empowered blast strikes the ground, inflicting 2193750 to 2306250 Fire damage to players within 3 yds, causing them to burn for 450000 Fire damage every 2 sec until they die. Slumber Gas: Violent gas erupts from the canister, putting all other players within 10 yds to sleep for 8 sec. Seared Skin: Standing on the burning edges of the bridge inflicts 1500000 Fire damage every 1 sec and increases all damage taken by 100% for 10 min. This effect stacks. Stasis Trap: Stepping upon a Stasis Trap causes it to trigger, inflicting 1462500 to 1537500 Fire damage and stunning all players within 3 yds for 8 sec. Pulse Grenade: Coming into proximity with a Pulse Grenade causes it to explode, inflicting 2242500 to 2357500 Nature damage and knocking back all players within 3 yds. Blastwire: Triggering a Blastwire causes it to explode, inflicting 1260000 to 1320000 Fire damage to all players. Shrapnel Blast: Stepping near a shrapnel mine causes it to trigger, inflicting 950000 to 1000000 Physical damage and causing targets within 4 yds to bleed for 689000 Physical damage every 2 sec for 30 sec. Conflagration: Hurls bombs, creating burning orbs that slowly travel down the walkway. Coming into contact with a flaming orb inflicts 2090000 to 2190000 Fire damage and reducing movement speed by 50% for 6 sec. When Imonar enters a lethal stance, these orbs burn for an additional 1135750 Fire damage every 2 sec for 12 sec. Imonar the Soulhunter takes 75% less damage while channeling this effect. Conflagration: Imonar the Soulhunter leaps backwards, dropping many traps and gathering power. The design of every Legion war machine stems from the depraved mind of Kin'garoth. Obsessed with crafting implements of death, Kin'garoth infused his very body into the production machinery so he could more efficiently churn out a never-ending supply of destruction. At the behest of the Legion's dark master, Kin'garoth's fevered brilliance has developed a new super-weapon which he plans to unleash upon the Army of the Light. Overview: Kin'garoth alternates between his Construction and Deployment phases, creating Fel Reavers to fuel the Legions war machine. Diabolic Bomb: Kin'garoth creates a bomb of fel energy that explodes when touched by a player, inflicting 3952000 to 4368000 Shadow damage to all players within 200 yard radius. Players farther from the impact take less damage. Ruiner: Expels a beam of fel energy, inflicting 1900000 Fire damage every 0.3 sec. Ruination: Ruiner, when empowered, calls annihilation missiles down, inflicting 2660000 to 2940000 Fire damage to players within 4 yards. Shattering Strike: Kin'garoth pounds the ground, inflicting 585000 to 615000 Nature damage to all enemies. Apocalypse Protocol: Kin'garoth inserts himself into his construction console and starts creating Fel Reavers, decreasing all damage taken by 99%. Weapons Upgrade: The last Fel Reaver created during Apocalypse Protocol that is destroyed will empower one of Kin'garoth's abilities. Purging Protocol: Construction bays fill with fire, inflicting 800000 Fire damage every 1 sec for 5 sec. The gigantic doors then close, killing anyone inside. Apocalypse Blast: Embers rain from the forge, inflicting 1825000 to 1925000 Fire damage to all enemies within 8 yards. Flames of the Forge: Kin'garoth stokes the flames of the forge, inflicting 780000 Fire damage every 2 sec for 40 sec. Annihilation: The Fel Reaver calls annihilation missiles down, inflicting 2380000 to 2630000 Fire damage to players within 4 yards. Annihilation Blast: Inflicts 2380000 to 2630000 Fire damage to all enemies. Initializing: All damage taken is increased by 3% per stack. Caster starts with 30 stacks and loses stacks over 30 sec. Feedback Overload: When a Fel Reaver dies it sends burning feedback to Kin'garoth, inflicting 4% of his total health as Fire damage. This damage ignores all damage reduction. Decimation: Hurls fel energy at random enemies that places an aura on the targets. When the aura expires, the enemy destination is bombarded with missiles, inflicting 2380000 to 2630000 Fire damage to enemies within 100 yards and 95100 to 105000 Fire damage to everyone. Demolish: The Fel Reaver targets enemies with void energy, splitting 15000000 Shadow damage among all players within 10 yards of a target and increasing the Shadow damage taken by 100% for until cancelled. Overview: Varimathras uses the darkness of his cell to stalk his prey, attacking them with [Alone in the Darkness]. Torment of Flames: Flames fill Varimathras' cell, inflicting 250000 Fire damage to all players every 1 sec. Torment of Shadows: Dark magic fills Varimathras' cell, inflicting 250000 Shadow damage every 1 sec. Alone in the Darkness: Varimathras steps through the darkness, inflicting 1560000 to 1640000 Shadow damage to any player if they ever aren't within 8 yards of another player. Dark Fissure: Varimathras tears open 3 rifts under random players. Each rift inflicts 500000 Shadow damage every 3 sec for 6 sec. When the rift expires it inflicts 3900000 to 4100000 Shadow damage to all players within its radius. Marked Prey: Varimathras marks his prey, charging through the darkness towards them after 5 sec. As he charges, Varimathras will hunt the first target he hits, inflicting 1462500 to 1537500 Shadow damage and knocking the target back. Overview: The Mothers of the Coven of Shivarra share a health pool. Two of the Shivarra stay within the arena and engage their enemies directly, while the titans' souls are being tormented. The Shivarra exchange places after forcing two titans' souls to use their abilities against the enemies of the Coven. Shivan Pact: When two Mothers are near each other, their damage taken is reduced by 99%. Sense of Dread: Inflicts increasing Shadow damage while any titan's soul is tormented. Fiery Strike: Noura sets her sabers ablaze, inflicting 4387500 to 4612500 Fire damage in a cone in front of her, and increasing damage taken by Fiery Strike by 50%. This effect stacks. Whirling Saber: Noura throws a flaming sword towards a random player, inflicting 1630000 to 1710000 Fire damage upon landing. The blade then begins to spin and return to Noura, inflicting 536250 to 563750 Fire damage every 1 sec to all nearby enemies as it moves. Touch of Darkness: Asara hurls darkness made manifest at her enemies, inflicting 1387500 Shadow damage to each target. Shadow Blades: Asara conjures three blades of shadow and sends them flying forward. Enemies that collide with the blades are knocked back and take 975000 to 1025000 Shadow damage. Flashfreeze: Diima strikes her current enemy with a deep chill, inflicting 8190000 to 8610000 Frost damage and slowing the target's movement speed by 10% for 20 sec. This effect stacks. Chilled Blood: Diima applies a healing absorb to random enemy players. When the effect ends, the target is frozen for a duration based on the amount of heal absorption remaining. Machinations of Aman'Thul: Aman'Thul's torment manipulates and collapses time around itself and the raid, restoring the caster to full health and inflicting 44000 Arcane damage to all players every 1 sec. for 21 sec. This effect stacks. Fury of Golganneth: A furious storm is summoned by the call of Golganneth's horn. Each Torment of Golganneth inflicts 487500 to 512500 Nature damage to players when they stand within 2 yards of each other. Flames of Khaz'goroth: Khaz'goroth's torment burns with the intensity of the titan's mighty forge. A wide line of flames inflicts 975000 to 1025000 Fire Damage every second to any players within. Spectral Army of Norgannon: An army of arcane visages manifests from Norgannon's torment. Each inflicts 2925000 to 3075000 Arcane damage every 1 sec to nearby players. Over the course of the encounter Aggramar passively generates energy. Upon reaching 100 Energy, his sword, Taeshalach, unleashes fiery energy and he begins [Taeshalach Technique], a devastating combo attack, alternating between [Foe Breaker] and [Flame Rend], ending with a [Searing Tempest]. Upon reaching 80% and 40% Aggramar activates his [Corrupt Aegis], preventing all damage and the elemental forces within Taeshalach are unleashed. Several smaller Embers of Taeshalach erupt from the blade along with two Flames of Taeshalach. The Embers slowy move towards Aggramar causing a [Blazing Eruption]. Killing both Flames of Taeshalach causes Aggramar to resume his attacks. Over the course of the encounter Aggramar passively generates energy. Upon reaching 100 Energy, his sword, Taeshalach, unleashes fiery energy and he begins [Taeshalach Technique], a devastating combo attack, casting [Flame Rend] several times before ending with a [Searing Tempest]. Upon reaching 60% Aggramar activates his [Corrupt Aegis], preventing all damage and the elemental forces within Taeshalach are unleashed. Several smaller Embers of Taeshalach erupt from the blade along with two Flames of Taeshalach. The Embers slowy move towards Aggramar causing a [Blazing Eruption]. Killing both Flames of Taeshalach causes Aggramar to resume his attacks. [Taeshalach's Reach] causes all of Aggramar's melee attacks to hit the next closest target. Take turns tanking the Fallen Avatar to manage the application of [Taeshalach's Reach]. Face Aggramar to help the raid split the damage of [Flame Rend]. Avoid being close to allies as [Scorching Blaze] hits all nearby players. During [Taeshalach Technique], help split the damage of [Flame Rend] and avoid [Foe Breaker] and [Searing Tempest]. During [Taeshalach Technique], help split the damage of [Flame Rend]. Taeshalach's Reach: All melee attacks made by the caster strike the next closest target. If no target is found, the primary target is struck again. Ravenous Blaze: Aggramar unleashes a portion of Taeshalach's power, causing random players to ignite with flame inflicting 650000 Fire damage every 0.5 sec. Wake of Flame: Aggramar calls forth waves of flame that cascade away from him, inflicting 3221111 to 3278889 Fire damage to all players caught in its wake and an additional 650000 Fire damage every 2 sec for 12 sec. Taeshalach Technique: At 100 Energy, Aggramar unleashes a devastating combination of attacks. Flame Rend: Inflicts 25000000 Fire damage in a frontal cone, divided evenly among all players struck. This attack also knocks all victims away, and the force of the knockback is also divided among all players struck. Empowered Flame Rend: Inflicts 47500000 Fire damage in a frontal cone, divided evenly among all players struck, and increasing damage taken by Flame Rend by 500% for 30 sec. Searing Tempest: Aggramar unleashes a blast of flame inflicting 3750000 Fire damage to all players caught within the radius, disorienting them for 5 sec. In Mythic difficulty, all Embers of Taeshalach that are hit with the effect are Catalyzed. Catalyzed: Embers of Taeshalach become immune to crowd control effects and have their movement speed increased by 100% for 20 sec. Corrupt Aegis: Aggramar places a shield around himself making him immune to damage. Touching the shield inflicts 1230000 to 1270000 Fire damage, knocking the target away. Catalyzing Presence: Embers of Taeshalach within 15 yards have their movement speed increased by 100% and becomes immune to crowd control effects. In addition, catalyzed creatures have their damage done increased by 50% while within the area. Unchecked Flame: The Flames of Taeshalach burn with fervent intensity, inflicting increasing Fire damage every 2.5 sec. Ember of Taeshalach: These fragments of Taeshalach's essence move towards Aggramar. Upon reaching him they recombine with Taeshalach, causing a Blazing Eruption. Wrought in Flame: Embers of Taeshalach generate energy over 0 sec. Upon reaching 100 energy the Ember triggers a Blazing Eruption. Blazing Eruption: Inflicts 1187030 to 1204970 Fire damage to all players and an additional 450000 Fire damage every 1 sec for 15 sec. In addition, the damage from Blazing Eruption is increased by 100% for 15 sec. Molten Remnants: Upon being slain, the Ember erupts into a pool of fiery residue that lasts for 18 sec. Standing within the pool inflicts 750000 Fire damage every 1.5 sec. Empowered Flare: Aggramar marks up to 3 locations that explode after 4 sec inflicting 3500000 Fire damage to all targets within the radius. Flare: Aggramar unleashes a blast of flame inflicting 4730000 Fire damage to all players caught within the radius. Empowered Searing Tempest: Waves of heat pull players towards Aggramar as he prepares to unleash a blast of flame inflicting 3750000 Fire damage to all players caught within the radius, disorienting them for 5 sec. Meteor Swarm: Aggramar periodically pulls burning debris down onto a player's location, inflicting 2990000 to 3010000 Fire damage to all players caught within the area. In Mythic difficulty, each Empowered Flare summons forth a Ember of Taeshalach. In addition, all Embers of Taeshalach that are hit with the effect are Catalyzed. Empowered Foe Breaker: Inflicts 33496876 to 34003124 Physical damage to all targets in a cone in front of the caster causing them to become afflicted with Searing Binding. Cone of Death: When Argus reaches 100 Titanic Essence, he cleaves the fabric of reality, creating a cone of Death Fog in front of him. Soulblight Orb: Summons a Soulblight Orb, which periodically applies Soulblight to players before dissipating. Soulblight: Inflicts 1250000 Shadow damage every 2 sec. for 8 sec and creates a pool of Death Fog at the affected player's location when it expires. Death Fog: Inflicts 2500000 Shadow damage to players every 1 sec. Tortured Rage: Argus strikes the ground in rage, inflicting 2437500 to 2562500 Shadow damage to all players. Sweeping Scythe: Cleaves players in a half-circle in front of him, inflicting 6000000 Physical damage and increasing damage taken by subsequent Sweeping Scythes by 200% for 15 sec. This effect stacks. Sky and Sea: Golganneth channels his fury to empower players, creating a Gift of the Sky and a Gift of the Sea. Gift of the Sky: A swirling essence of storms that lasts for 10 sec, granting any player who enters it the Strength of the Sky. Strength of the Sky: Increases Critical Strike and Mastery by 2000 for 30 sec. This effect stacks. Gift of the Sea: A torrential mass of water that lasts for 10 sec, granting any player who enters it the Strength of the Sea. Strength of the Sea: Increases Haste and Versatility by 2000 for 30 sec. This effect stacks. Volatile Soul: At 100 Titanic Essence, Argus exposes the volatility in living souls, applying Soulburst to two players and Soulbomb to one. Soulburst: Inflicts 500000 Shadow damage every 3 sec. for 15 sec. Soulburst Detonation: Inflicts up to 2000000 Shadow damage to all players. This amount is reduced the further away players are from the blast, up to a maximum of 45 yards. Soulbomb: Inflicts 750000 Shadow damage every 3 sec. for 15 sec. Soulbomb Detonation: Inflicts up to 10000000 Shadow damage to all players. This amount is dramatically reduced the further away players are from the blast, up to a maximum of 45 yards. Edge of Obliteration: Manifests a scythe of dark energy which travels in a line, inflicting 1250000 Physical damage every 2 sec. for 12 sec, and knocking back any players it comes into contact with. Avatar of Aggramar: Aggramar grants a player a measure of his strength, increasing health by 100% and movement speed by 40% for 1 min. Aggramar's Boon: Players who stand near the Avatar of Aggramar have any damage they take redirected to the Avatar. Cosmic Ray: Channels a beam of cosmic energy towards a player, inflicting 3000000 Arcane damage to any players hit by the beam. Cosmic Beacon: Selects a player as a targeting beacon for Cosmic Smash, calling one down at their position after 10 sec. Cosmic Smash: Inflicts 1500000 Arcane damage to all players immediately and an additional 900000 Arcane damage every 2 sec. for 6 sec. This effect stacks. Impending Inevitability: Constellars gain Inevitability when their casts are interrupted. Inevitability: Immune to interrupts for 20 sec. Starblast: Inflicts 870000 to 1010000 Arcane damage to an enemy. The Stellar Armory: Periodically, two of the Constellar Designates will be granted arms from the Stellar Armory. When equipped with these arms, the Designates will no longer use their other abilities and will instead engage in melee attacks. Sword of the Cosmos: Increases melee attack damage by 200% and grants the ability Cosmic Power. Cosmic Power: Empowers the caster and any other Constellar Designates within 20 yds., increasing damage done by 20% for 3 min. Blades of the Eternal: Melee attack damage increased by 300%. The Discs of Norgannon: Exposes elemental weaknesses in the Constellar Designates. Each Designate takes 200% increased damage from a single school. Ember of Rage: Argus' pure rage manifests as burning embers of titanic energy, which fall to the platform and detonate, inflicting 3000000 Shadow damage immediately and 1000000 Shadow damage every 2 sec. for 20 sec to any players hit. This effect stacks. Reorigination Modules: Reorigination Modules will begin an Initialization Sequence when created. Initialization Sequence: Drains the Reorigination Module's health over 15 sec, increasing the radius of Reorigination Pulse the longer the Initialiation Sequence is channeled. Reorigination Pulse: Inflicts 740000 to 860000 Arcane damage to all players and 15000000 Arcane damage to players within the area of Reorigination Pulse. Hungering Souls: Hungering Souls stalk the spirit world, released by Argus' wrath. If they come into contact with any ghosts they will burst, applying Soul Detonation to any nearby ghosts. Soul Detonation: Knocks back nearby ghosts and reduces their movement speed by 60% for 8 sec. Motes of Titanic Power: When Reorigination Modules complete a Reorigination Pulse, their Titanic energy is released into the Spirit World as Motes of Titanic Power. Players can walk into these to collect them, granting Khaz'goroth Titanic Essence that he can use to fuel his Titanforging ability. Gift of the Lifebinder: Eonar causes the Gift of the Lifebinder to spring forth to save the players. While the Gift of the Lifebinder lives, players may freely Release Spirit after dying. If players move to the tree as ghosts, they will be returned to life, at the cost of some of the Gift of the Lifebinder's Life Energy. Withered Gift of the Lifebinder: Players may heal the Withered Gift of the Lifebinder. Additionally, when they use it to resurrect, it is afflicted by Withering Roots. Withering Roots: Inflicts 850000 Nature damage every 1 sec. This effect stacks. Khaz'goroth's Aid: When Khaz'goroth has at least 20 Titanic Essence, he will begin to channel Titanforging. Titanforging: Channels, draining 1 Titanic Essence every 1 sec., to grant all living players Titanforged. Titanforged: Khaz'goroth reforges players in his image, granting them 15% increased damage and healing and 15% increased movement speed as long as he is able to channel Titanforging. From its stronghold on Argus, the Legion employs a vast array of portals to spread across the cosmos like a plague. Countless worlds have been plundered for resources, their inhabitants forced to serve the Dark Titan or endure a slow, agonizing death. 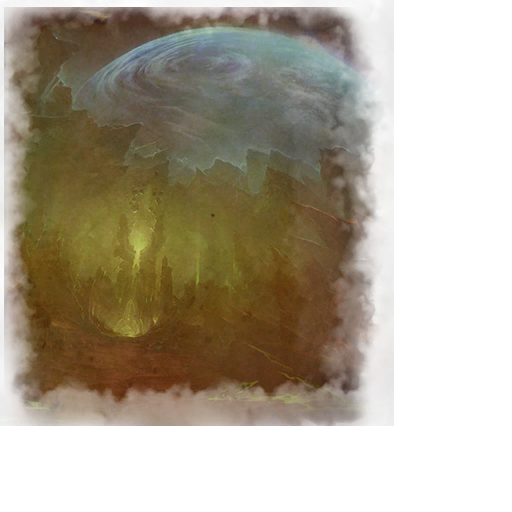 Unless these worlds can be liberated, the Burning Crusade will consume everything it touches and leave the universe in ashes. Inquisitor Meto's mastery over fel magic is rivaled by few in the Legion. Meto uses this power to sow chaos and destruction across the cosmos, leaving countless burning worlds in his wake. Overview: Inquisitor Meto focuses his [Reap] and [Sow] abilities on his main threat target while randomly targeting players with [Death Field]. Inquisitor Meto will periodically summon [Seeds of Chaos] at random locations. 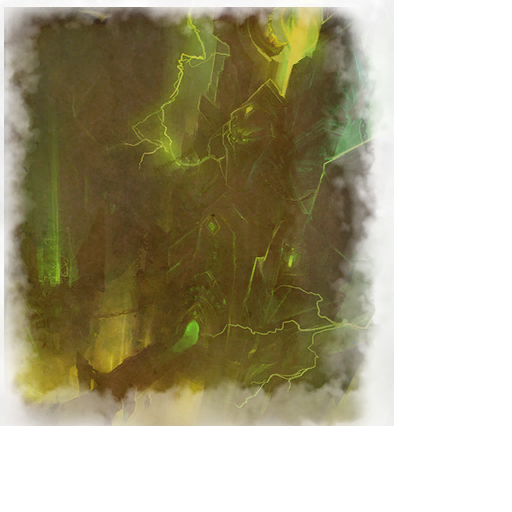 Reap: The caster summons a scythe of pure fel energy to harvest the souls of his enemies. Any players in front of the caster suffer 1850000 to 2150000 Fire damage and will take an additional 277500 to 322500 Fire damage every 5 sec. for 10 sec. Sow: The caster thrusts a lance of fel energy forward, inflicting 1850000 to 2150000 Fire damage to all enemies in a line. Victims of Sow will take an additional 100% damage from Reap and Sow. Seeds of Chaos: The caster summons several Seeds of Chaos nearby that will explode after 15 sec. The damage of the explosion is greater the larger the seed has grown. Players can absorb the energy of the orb by standing in it; but will take 185000 to 215000 damage per 1 sec. while doing so. Death Field: The caster creates a field of fel energy in a wide cone. Players caught in the field take 925000 to 1075000 Fire damage and an additional 925000 to 1075000 Fire damage over 10 sec. Occularus feeds on the minds of his enemies, savoring their despair as he sears their flesh. This malevolent creature has devoured worlds, yet his hunger remains insatiable. Overview: Occularus will attack his threat target with [Gushing Wounds], [Searing Gaze], and [Lashes]. All the while, Occularus will periodically afflict random enemies with [Eye Sores] and confound enemy positioning with [Phantasms]. Gushing Wound: The caster bites the target, leaving the victim bleeding for Physical damage over 20 sec. Lash: The caster lashes out with their tongue, inflicting 925000 to 1075000 Physical damage to the target. This damage is increased based on the number of Gushing Wounds the victim has. Searing Gaze: The caster focuses their gaze on the target, inflicting 2000000 Shadowflame damage. This damage is increased based on the number of Gushing Wounds the victim has. Phantasm: The caster summons orbs of fel energy that will inflict 1267500 to 1332500 Fire damage to any player they come in contact with. Eye Sore: The caster launches several eyes at their enemies, creating an Eye Sore at the point of impact. Players standing in these Eye Sores suffer 731250 to 768750 Fire damage every second for 15 sec. Sotanathor's legendary strength was forged through countless burning campaigns across the cosmos. A brutal general, this demon commands vast legions that have never known defeat. Overview: Sotanathor uses his great weapon to [Cleave] his enemies in twain or to send forth [Wakes of Destruction] at random enemies. Sotanathor will periodically use his powerful voice to [Silence] all nearby enemies. Silence: The caster unleashes a concentrated burst of sonic energy from their weapon, silencing all enemies within 100 yards for 6 sec. Soul Cleave: Inflicts 7400000 to 8600000 Fire damage, divided evenly among all targets within 5 yards of the primary target. Cloven Soul: The victim's defenses are weakened, increasing the damage they take by 30% for 30 sec. While the victim's soul is cloven, they take 371250 to 378750 Fire damage every second. Cavitation: The caster swings their axe, sending forth Wakes of Destruction at random enemies. Wake of Destruction: The Wake of Destruction explodes on contact, inflicting 1202500 to 1397500 Shadow damage to all players within 3 yards. Seed of Destruction: The caster chooses 3 targets, causing them to emit 8 Wakes of Destruction after 4 sec. All those who gaze upon Mistress Alluradel fall under her sinister control. She commands victims of her dominance to inflict gruesome torments upon themselves. A thrall's only hope of escape is death, and Alluradel will not allow that release until their agonized screams have ceased to amuse her. Overview: Mistress Alluradel periodically casts [Beguiling Charm], charming all players who are facing her when the cast completes. Bringing a charmed player to 50% health breaks the effect, freeing them from Alluradel's control. Turn away from Mistress Alluradel when she casts [Beguiling Charm]. Help free players affected by [Beguiling Charm] by brining them to 50% health. [Fel Lash] inflicts heavy damage to players caught in the cone. Take turns tanking Mistress Alluradel to manage the application of [Sadist]. Beguiling Charm: Mistress Alluradel charms all players who are facing her for 20 sec. Dealing sufficient damage to the mind-controlled player will break the effect. Fel Lash: With a snap of her whip Mistress Alluradel creates a wave of fel flame that inflicts 1950000 to 2050000 Fire damage to all players in a cone 45 yards long. Heart Breaker: Inflicts 450000 Shadow damage every 2 sec for 24 sec. Sadist: With each consecutive melee attack against the same target, Mistress Alluradel's attack speed increases by 5%. This effect stacks. Matron Folnuna destroys worlds by infecting them with her spawn. These vile creatures spread like a plague over the landscape, corrupting and devouring anything in their path. Overview: Matron Folnuna summons forth several types of imps over the course of the encounter that pester her enemies. In addition, when Matron Folnuna reaches 100 Energy she unleashes a [Slumbering Gasp] that can be avoided. Any players who fail to avoid [Slumbering Gasp] can be freed from their slumber by inflicting any damage to them. Infected Claws: Inflicts 1218750 to 1281250 Nature damage to the current target and increases the damage of Infected Claws by 5% for 20 sec. This effect stacks. Slumbering Gasp: Inflicts 1462500 to 1537500 Nature damage to any target caught within the breath and causes them to fall asleep for 20 sec. Fel Blast: Fires a bolt of fel energy at a random target inflicting 877500 to 922500 Fire damage. Grotesque Spawn: Launches several globs of molten fel that impact the ground nearby inflicting 1462500 to 1537500 Fire damage to players within 6 yards of the impact and also summons forth a random imp to serve the caster. Fel Firebolt: Hurls a bolt of fel fire at a random target inflicting 438750 to 461250 Fire damage. Scorching Presence: Surrounds the caster in flames, burning any player who comes too close. Burned targets are disoriented and suffer 450000 Fire damage every sec for 3 sec. Pit Lord Vilemus' brutality is renowned even among the Legion. He delights in setting his foes aflame in fel fire, then laughing at their despair as they beg for the mercy of death. Overview: Pit Lord Vilemus will periodically use his [Fel Breath] and [Stomp] to damage the raid. Tanks will need to manage threat in order to survive his [Drain] ability. Spread out to avoid taking unnecessary damage from [Fel Breath]. [Stomp] will interrupt any spells being cast and send you flying into the air. [Fel Breath] hits many players in a cone and leaves a damage over time effect on any victims. [Stomp] will interrupt your spellcasting and then launch all players into the air, causing them to take falling damage in addition to the initial damage from the ability. [Drain] will lower the victim's maximum health in addition to inflicting damage. [Drain] will lower your maximum health in addition to inflicting damage. Drain: The caster channels fel magic through their weapon, inflicting 1665000 to 1935000 Fire damage to all players within 8 yards of their target over 6 sec. Every time the victim is damaged in this way, they lose 10% of their maximum health for 20 sec. Stomp: The caster stomps the ground, knocking enemies back and interrupting any spellcasting. Fel Breath: The caster exhales fel fire in a wide cone. Players caught in the cone take 1295000 to 1505000 Fire damage and an additional 925000 to 1075000 damage over 10 sec.